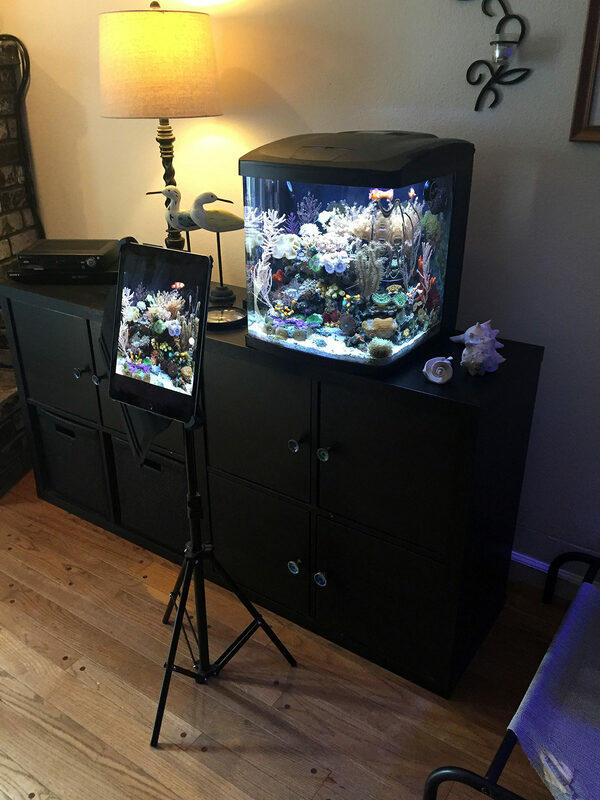 Congratulations to community member Banasophia and her 16 gallon nano reef for being selected for our March 2019 Reef Profile! 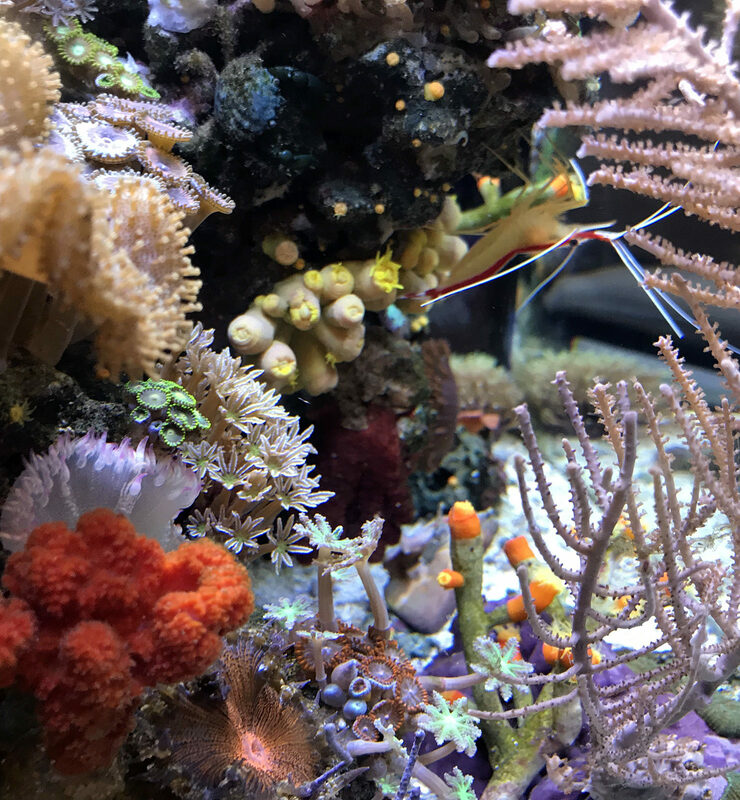 Home to an incredibly diverse array of life, including a unique collection of non-photosynthetic corals, this nano aquarium has seen tremendous success in its first year. In this article Banasophia shares her experiences in the hobby and this aquarium's journey to its first anniversary. 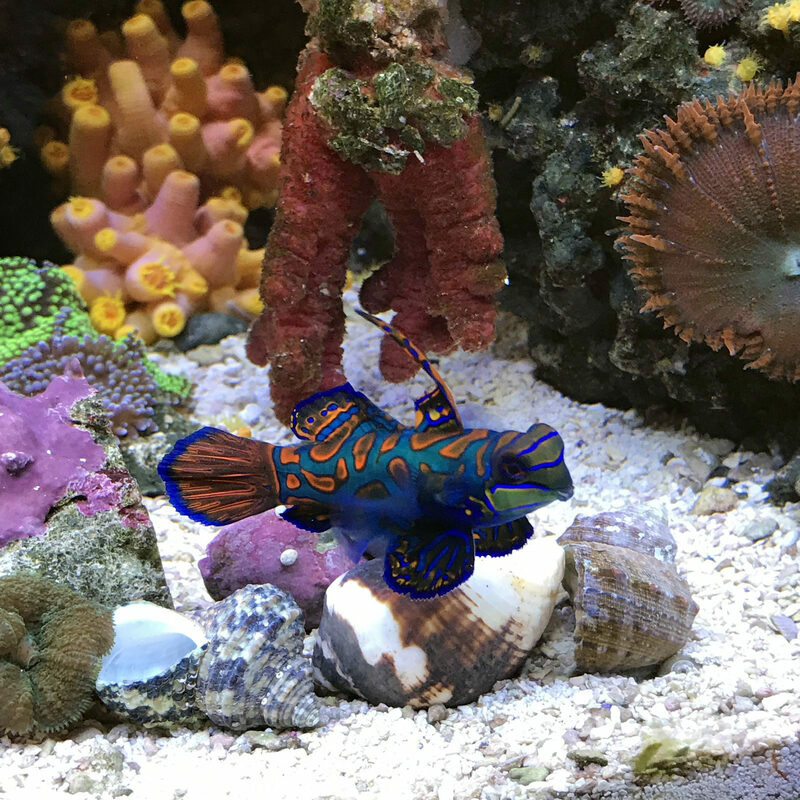 Share your comments and questions in the comments section below, and follow her aquarium journal for additional photos, history, and information about this beautiful reef tank. I have my lights set so the blues ramp up starting at 6 AM and ramp back down stating at 12:30 AM because I work from a home office and like to enjoy my tanks all day. The first thing I do in the morning when I wake up is check both of my tanks to be sure the pumps are on, temps are normal, and everyone looks fine on a quick inspection. At some point in the day, once the brighter lights are on, I clean the glass with my Flipper and Two Little Fishies Nano-Mag if needed (the Nano-Mag is perfect for hitting tight spots and the curved corners of the Biocube) and inspect the tank more closely. I dose NOPOX daily﻿﻿ (carbon dosing to help control nitrates/phosphates), I check the water level in the return chamber to be sure there has been no appreciable evaporation, and I check my filter floss and skimmer and change/empty as needed (usually 2 times per week). 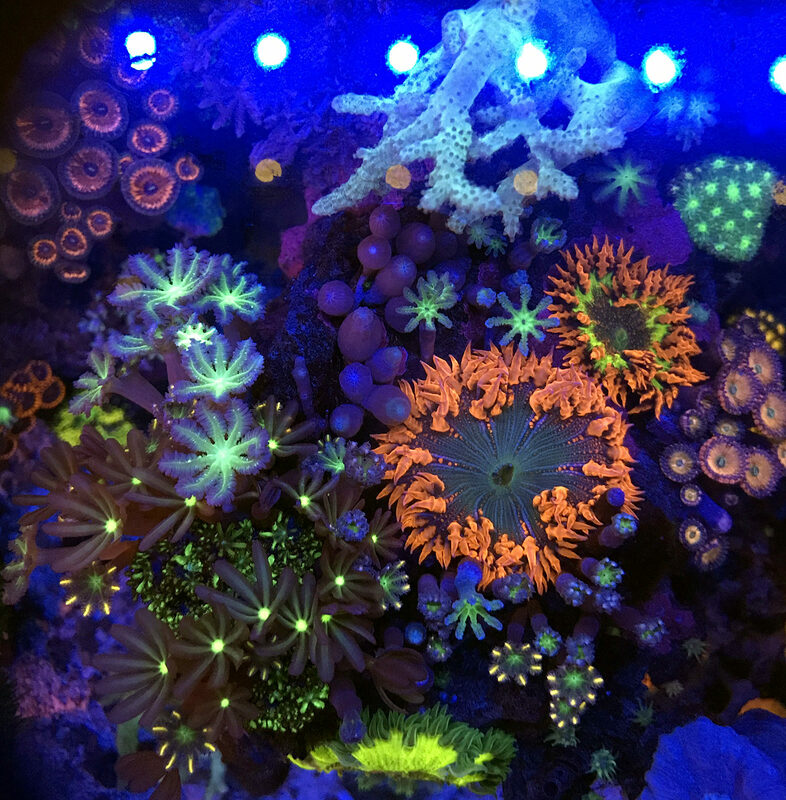 I also dose Seachem Reef Fusion Two Part on Mondays, Wednesdays, and Fridays. I feed my tank heavily, on a daily basis, due to my NPS (non-photosynthetic) corals and my mandarin dragonet. In the beginning I fed twice per day, but I currently feed once per day in the evening, and monitor closely to ensure my mandarin and NPS are well fed and happy. I turn off the pump and wavemaker and add two pinches whole and two pinches crushed Sustainable Aquatics Hatchery Diet pellets. Three days per week I then pour in some fresh hatched baby brine shrimp which I hatch in a Shrimpery (one batch produces 3 nightly harvests). I wait 15 minutes and then add frozen (typically a mix of Reef Frenzy Nano, Marine Cuisine, and Coral Gumbo) mixed with a pinch of Coral Frenzy or Reef Roids powder. 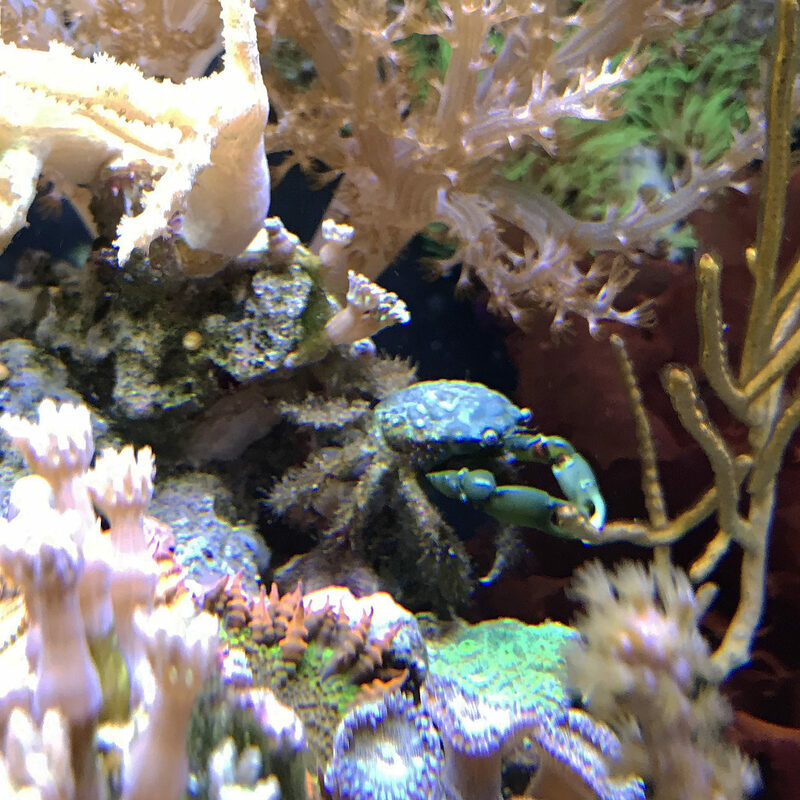 I often feed a meaty piece to the emerald crabs (to keep them fed well enough that they don’t eat the polyps from the pipe organ corals) and then I squirt a little of the mix on the sun corals to get them to open, if they’re not already. Approximately 15 minutes later (when sun corals are fully open) I feed more to the suns, and let it sit for 15 minutes. I then turn on the powerhead only to swirl the food around the tank for 15-30 minutes. When all done, I turn the pump back on. I also add phytoplankton and zooplankton a few times per week, especially if my spider sponge and chili coral aren’t opening up. All of this is not an exact science, sometimes I skip the frozen on the nights I do the baby brine shrimp, and I often skip feeding on water change day, or just do the pellets. The main thing is that I watch closely to ensure the mandarin is maintaining weight and the suns and other NPS are opening up. Of note, I was also culturing my own pods for a while, and added them on a weekly basis, but the cultures got some algae growth that looked like briopsis, so I shut them down an I will restart cultures in the spring. For now, I purchase pods as needed, typically on a monthly basis. I perform a 4 gallon water change once per week, including turkey basting the rocks, and stirring and/or siphoning the sand bed. I do not siphon the back chambers because I don’t want to disturb the pods that live back there. I clean my powerhead and return nozzle during my water change if algae is growing on them. The day after my water change I add Kent Tech Iodide. Aside from salinity, which I test on a weekly basis when I do my water changes, I typically test my parameters monthly now, or as needed if something appears to be off. Every 2-4 weeks, I tend to dose Phosphate RX, to bring my phosphates down. Nitrates typically run 10-20, phosphates typically﻿﻿ run 0.25 to 0.68. I change out the wooden airstone in my skimmer every month or two. Every 2-3 months I change my Chemipure Elite and Purigen. And every 6 months (well, I’ve only done it once) I clean my pump. I a﻿m new to the hobby, my BioCube was my first tank. It all started with my daughter’s﻿ wish for a fish tank a couple years ago. In the beginning, I thought it seemed so boring – why would anyone want fish, you can’t pet them, snuggle them, or take them for a walk? Haha... little did I know back then what the future held in store for me. The kiddo wasn’t able to get her room cleaned up to get her tank for Christmas 2016, but she worked hard to earn it for Christmas 2017. As I researched what was needed for her new freshwater tank, I read about EcoSpheres, those little sealed glass spheres that come with tiny shrimp, and I ended up getting myself one and loved it. I was totally enthralled with those tiny creatures, and the balance sustaining that small ecosystem. After getting my daughter’s freshwater tank up and running in January 2018, I realized I really wanted a tank of my own. 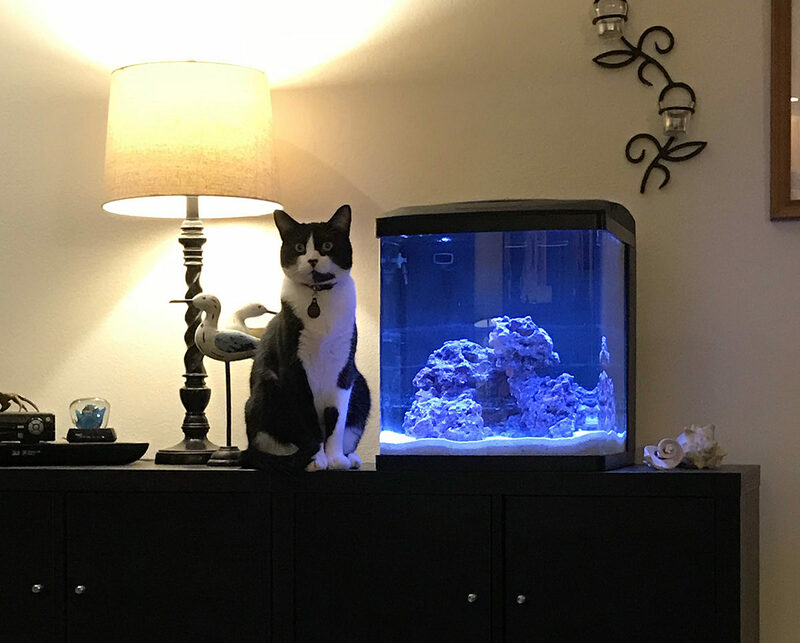 I was intrigued by the idea of a saltwater tank, and my husband is a landlocked surfer, so the idea of having our own little bit of the ocean in our home was compelling. I was going through a lot of work stress back in February of last year, so I took my mind off of work by diving into the research needed to get off to a good start in the hobby. I would stop working at the end of the day and visit the LFS's that I’d gotten familiar with while setting up my daughter’s tank, and it was therapeutic to peruse all the fish and corals. 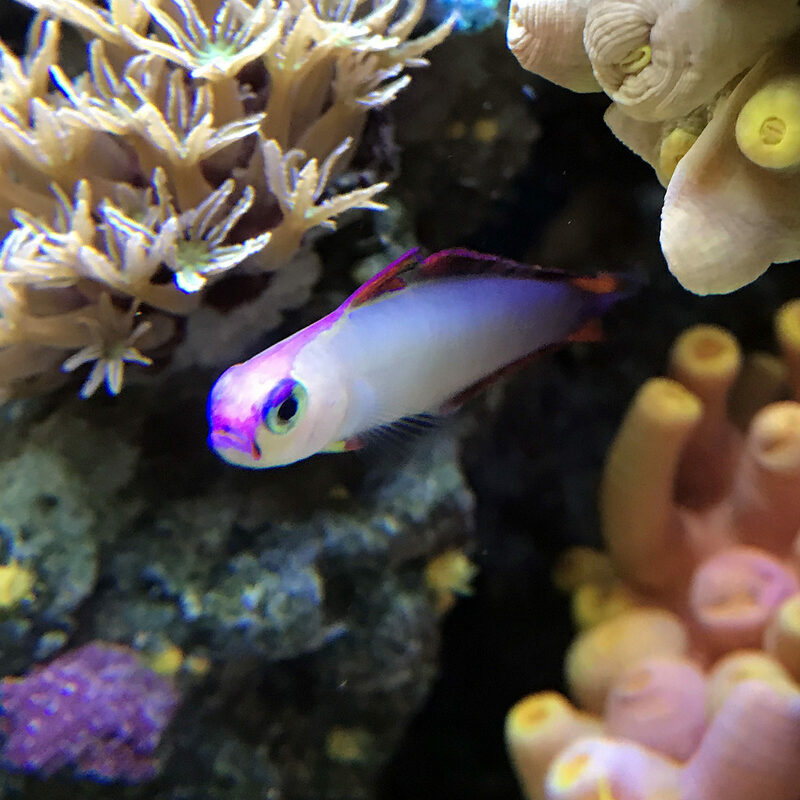 I remember visiting an LFS on a particularly stressful day, being mesmerized by their beautiful pink pulsing Xenia, and deciding for certain I needed to start my own saltwater tank. So I started my first tank, the BioCube, on March 3rd. And I was so hooked that I immediately wanted an additional tank and I started my second tank, my IM Nuvo 10, on June 16th. I dove right in and haven’t looked back! We have two golden retrievers, which means lots of dog fur flying around, so a tank with a canopy was a must. I also wanted an all-in-one tank that would fit in a specific space and would be suitable as a beginner tank, so the 16 gallon BioCube seemed to be a perfect fit. After cycling my daughter’s freshwater tank and doing a lot of reading on starting a saltwater tank, I decided that I wanted to utilize some of the products that are available now to speed up the cycle. I used CaribSea Liferock that was already cured at my LFS, in addition to live sand, Nutri-Seawater, and BioSpira. I have to say that I credit my success with this tank to my cycling strategy and the Caribsea Liferock... I feel like a long cycle can give too much time for nitrates to build up and algae to take hold, and it seems to me that the Caribsea Liferock is pretty resistant to algae growth. In both of my tanks, the areas that are prone to algae are the bases of frags, superglue, and dry rock rubble pieces that I’ve attached corals to. Though I am a proponent o﻿f a fast cycle, I do not promote the “just add fish” approach that is advertised by several of the products that can speed up the cycle. During the first couple weeks of a new system you still need to ensure your tank is cycled before adding any livestoc﻿k, and you also need to get to know the system and make sure all of your equipment (tank, pump, heater, thermometer, powerhead) is functioning properly. 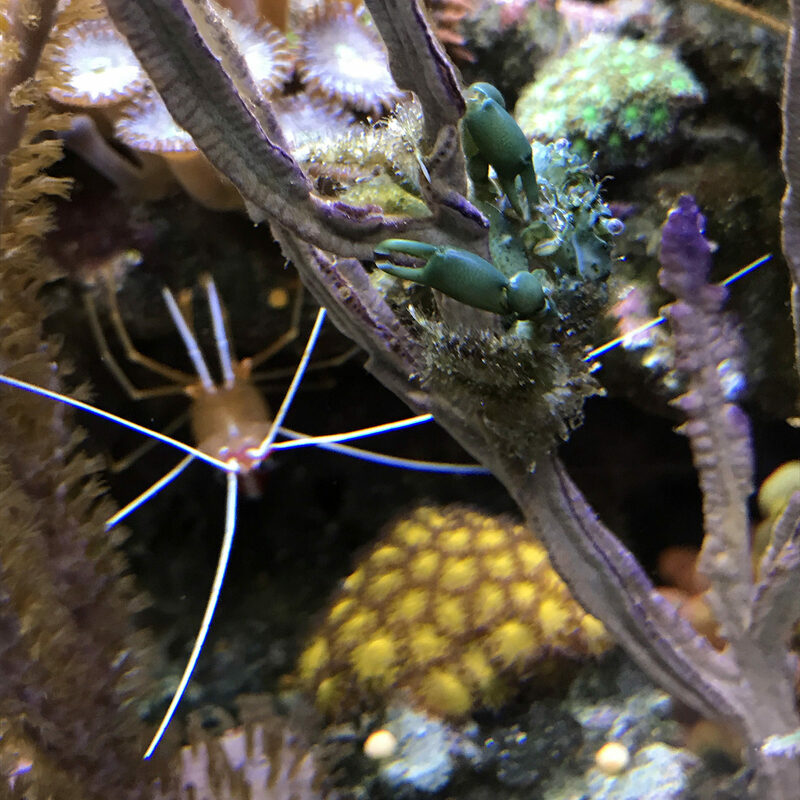 In addition, if you are considering a short cycle, I suggest using an algae badge so you can easily monitor for an unexpected ammonia spike as you stock your tank. 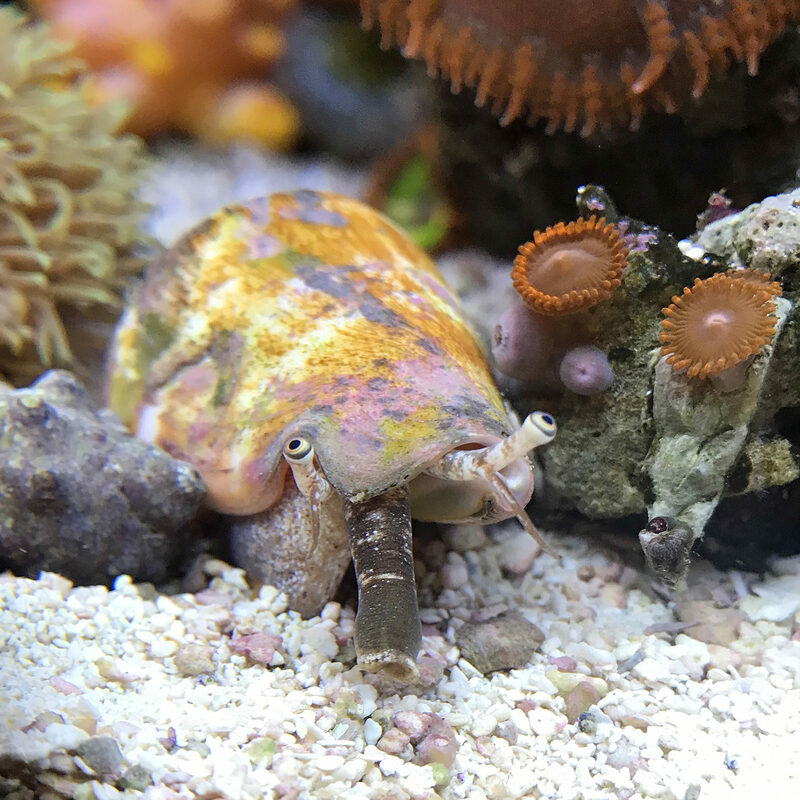 I ordered my snail only cleanup crew from ReefCleaners approximately one week in, after the diatoms showed up. 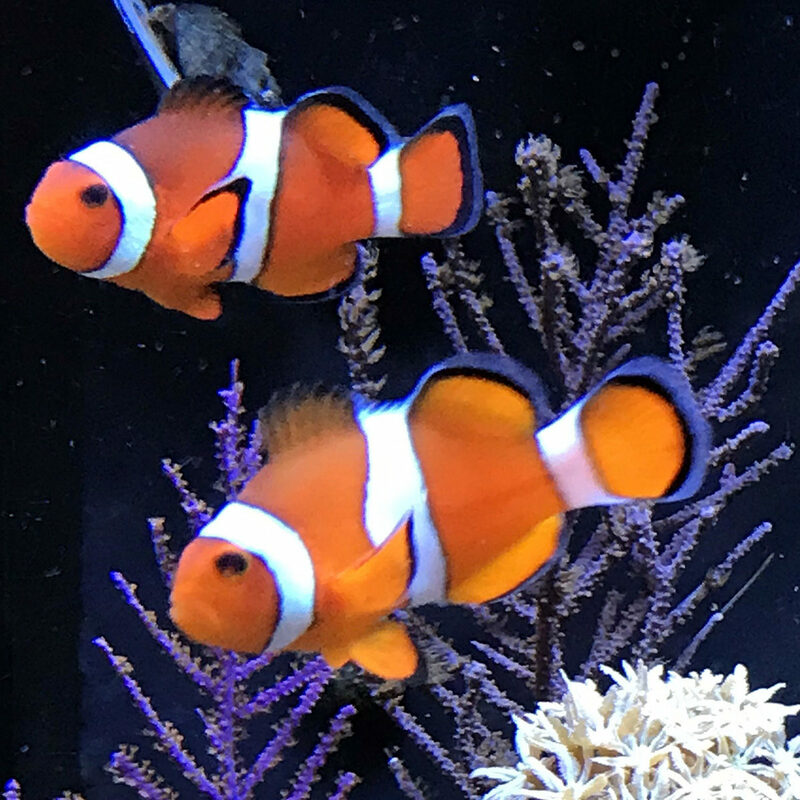 I added my clownfish pair one week later after having my water testing double checked by my LFS. I started with a couple of beginner corals when I was three weeks in. In the beginning, I was planning for a torch coral dominant mixed reef. I did tons of research on corals and mapped o﻿ut my tank. I ended up with a very large torch that I placed at the top of my tank as my centerpiece, and I loved it. 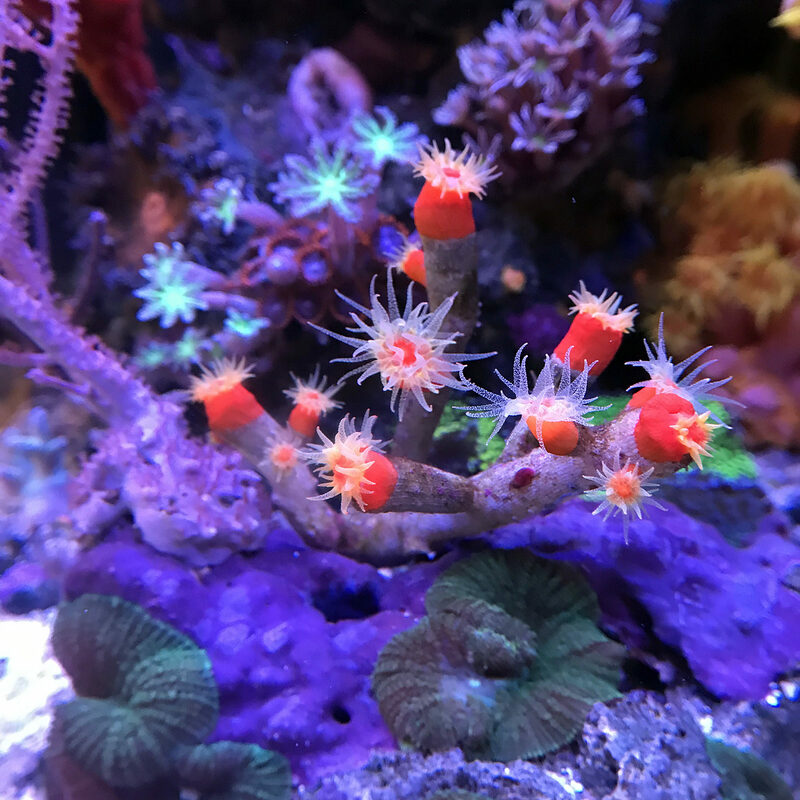 I added three additional torches, but as time went on and they got happier in the tank, they developed long sweepers so I discovered the challenges of keeping aggressive corals in a small tank. I suddenly and unexpectedly lost the main large torch while I was trying some new products that led to a clear film forming on the sandbed. My starfish started to disintegrate in the tank, my plate coral sustained damage to its base, and the large torch suddenly went limp and its tentacles started dropping off. I had to work fast to remove the dying torch before its tentacles stung the other corals. Though I was devastated by the loss of my favorite coral at the time, it steered my tank in a new direction that ended up working out well. I moved my three other torches to my Nuvo 10. 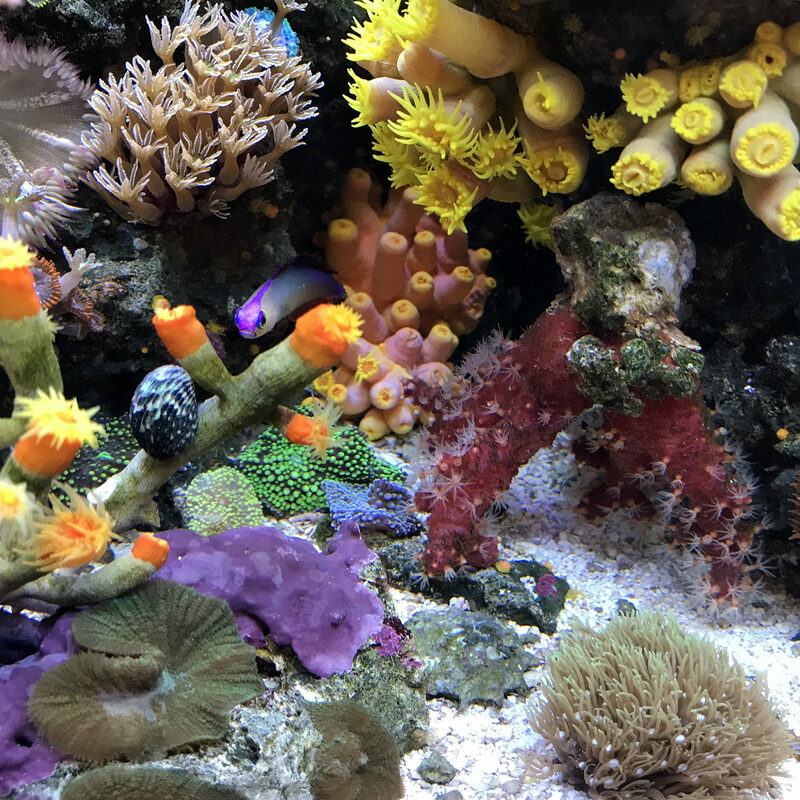 After lots more research, I ultimately replaced the large torch with my sinularia, and started heavily stocking my tank since I was no longer limited by an aggressive coral with long sweepers. 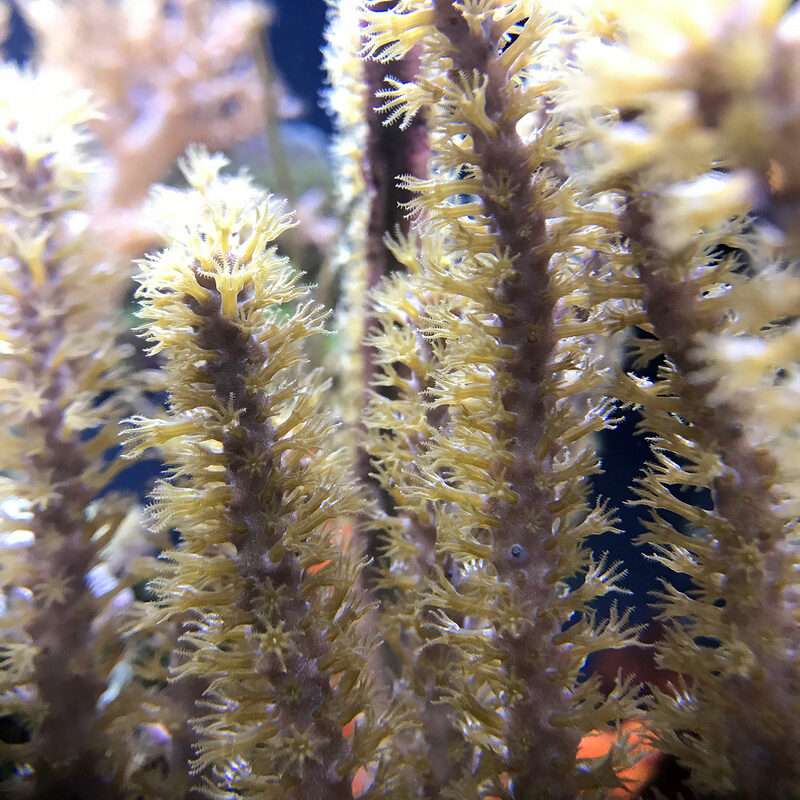 The other major challenge with my tank in the beginning was hydroids. My tank became overrun with them, and I﻿ spent a lot of time trying to find ways to control them. Some seasoned reefers told me they usually disappear over time and they were right; they finally disappeared at around the 10 month mark. Thank goodness because they have a powerful sting that can affect some corals. 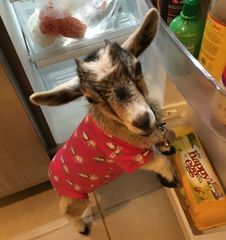 Finally, I wanted to mention another issue with the tank was that it started running in the 80-84°F range over the summer as our household temperature went up. This is not surprising since the lid prevents any appreciable evaporation (I’ve never once had to top off between weekly water changes), so there’s no opportunity for evaporative cooling. As the temp increased, the tank started to develop more diatoms, algae, and unhappy﻿﻿﻿﻿ corals﻿﻿, so I decided to get a chiller. 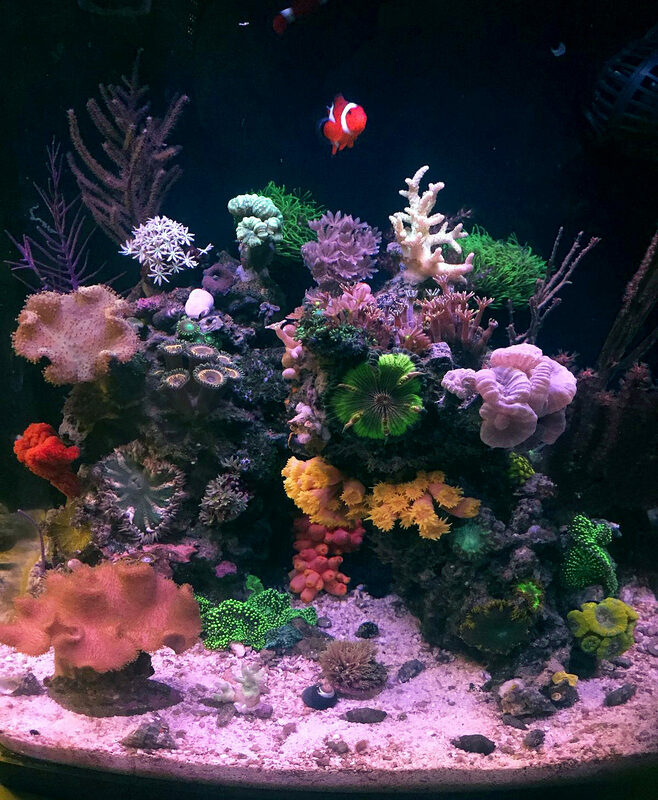 This was a big question as a newbie with a Biocube: should I upgrade things or keep it stock? It was disheartening in the beginning because I thought I had chosen a good tank with good lighting, but people were immediately recommending a lighting upgrade, so I started to ponder this several months in. 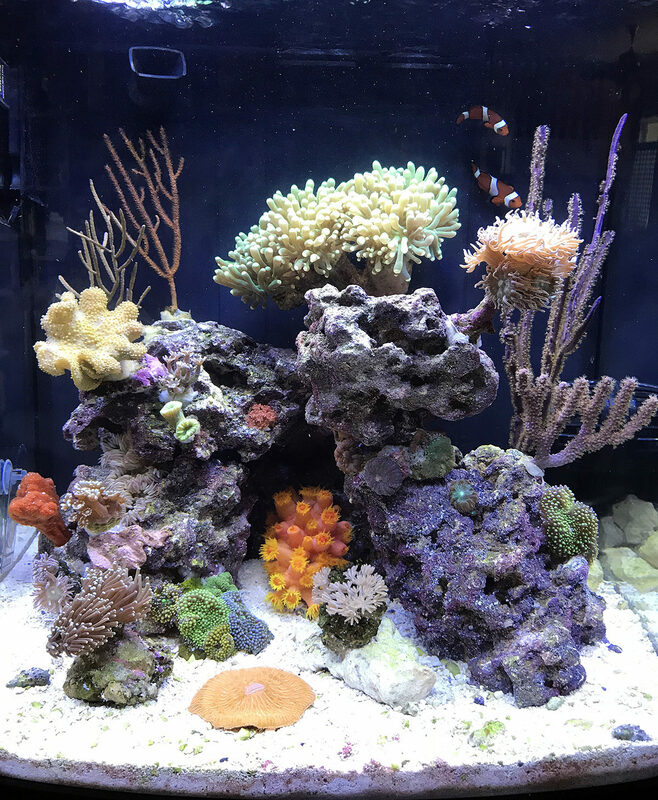 It has been interesting having my second tank, which is an IM Nuvo 10 with an AI Prime light, because I’ve been able to observe what happens when I switch corals between my two tanks. 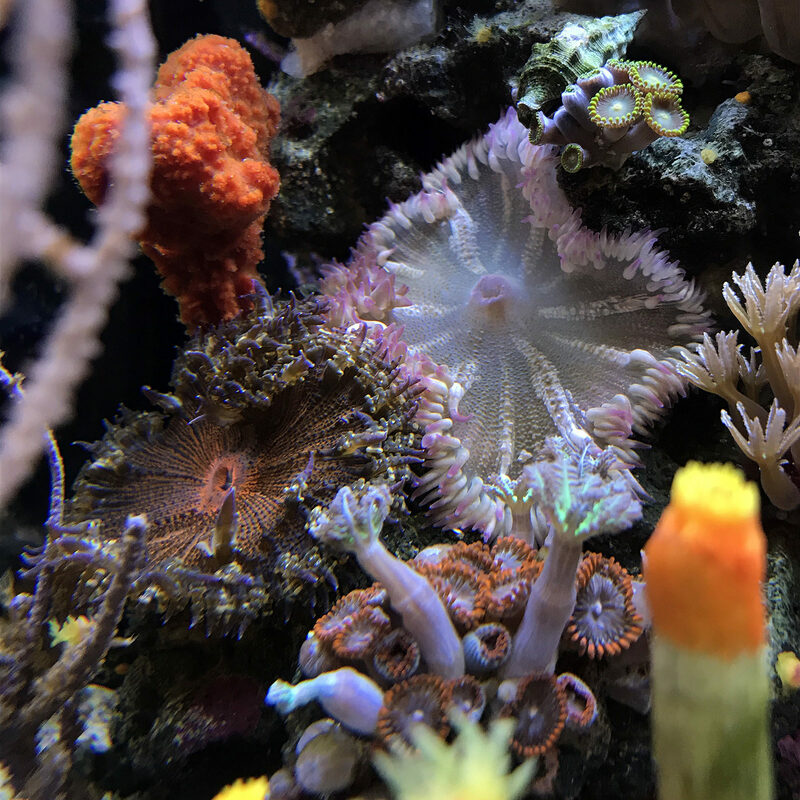 Some corals, especially my torches and my acans, do seem to grow faster under the AI Prime. Though I should mention that it is hard to compare the two tanks because my mandarin and sun corals in the BioCube require heavy feeding, so the higher nutrients in the BioCube could also be a big factor affecting coral growth rates. Anyway, there are a lot of great things about the BioCube stock lighting, including the easy programming, the ramping up and down for sunrise and sunset, and the three distinct lighting phases each d﻿ay which accentuate different features of the reef. 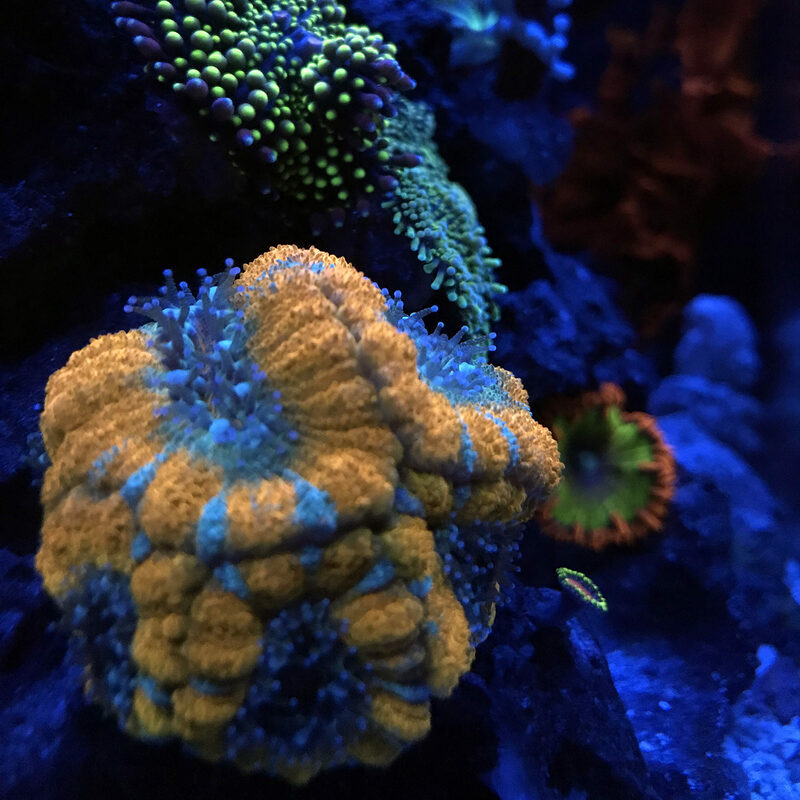 Instead of upgrading my lighting, I decided to take advantage of its features, and decided to focus on softies and NPS corals. 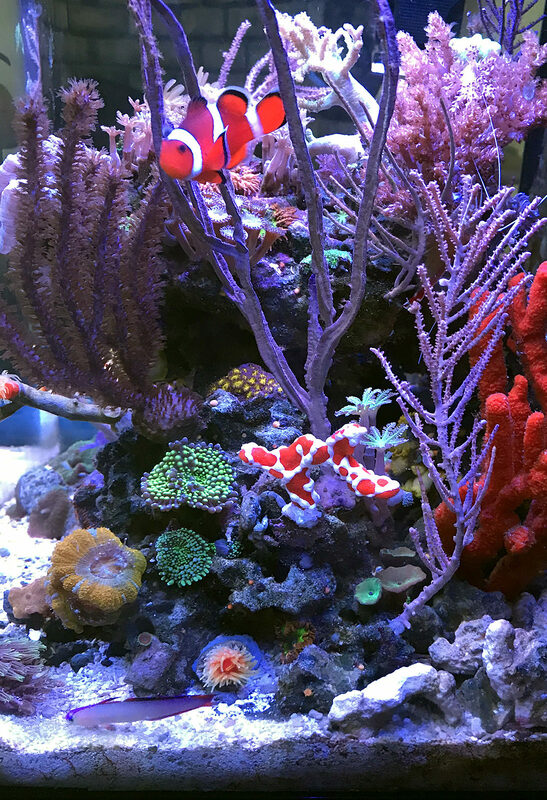 When I started out, I read through lots of journals and the TOTM tanks; I learned so much about keeping a saltwater tank from all of the beautiful and diverse reefs on this forum, and formulated ide﻿as﻿ for my own tanks. I was especially inspired by Surveyman’s euphilia dominant tank, Lawnman’s soft coral/gorgonian tank, and Jackal’s Biocube 16. I was also really drawn to the Leather is for Lovers thread and the Rock Flower Anemone thread. Starting up my Biocube has been a huge learning experience in this past year. 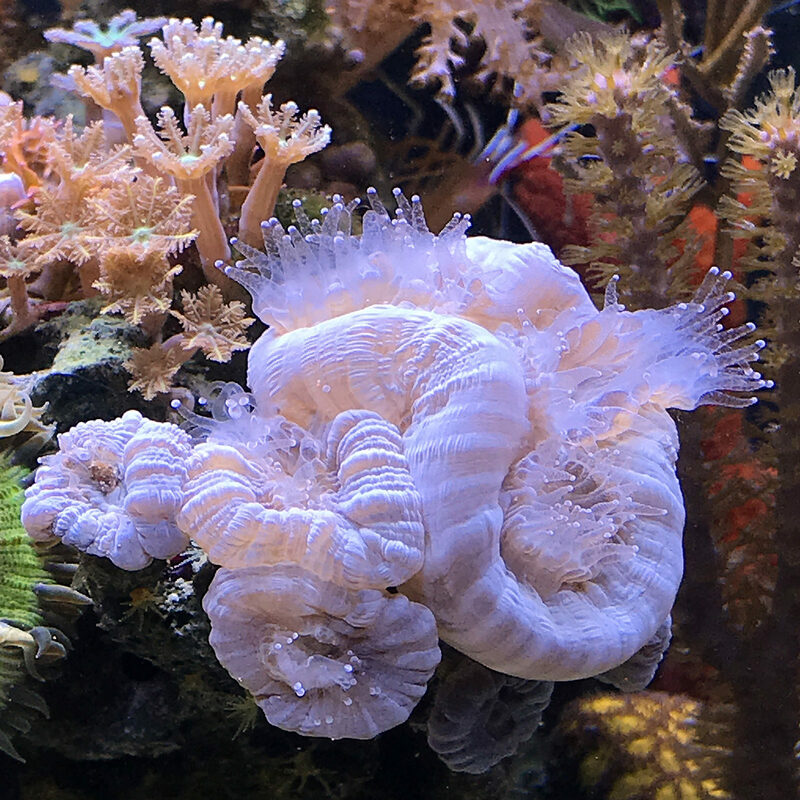 I am still extremely new to the hobby and I feel like I’ve just scratched the surface of all there is to know in this hobby, and about coral reefs. 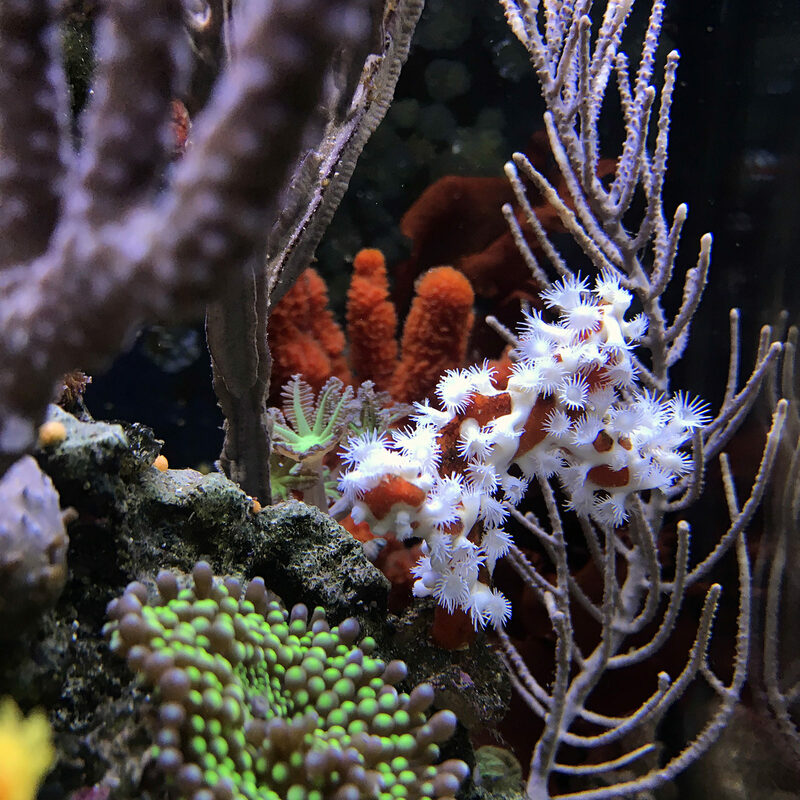 I feel fortunate to have such a vast array of corals and other livestock in my small tank, so my goal is to continue to learn about them and enjoy them as they grow in my tank, and to continue to expand the depth and breadth of my knowledge. I’ve gotten the green light that I can upgrade one of my tanks to a larger tank if I choose to. For now I plan to stick with the tanks I have until I gain more experience and a better understanding﻿ of the longer term needs of a saltwater tank. 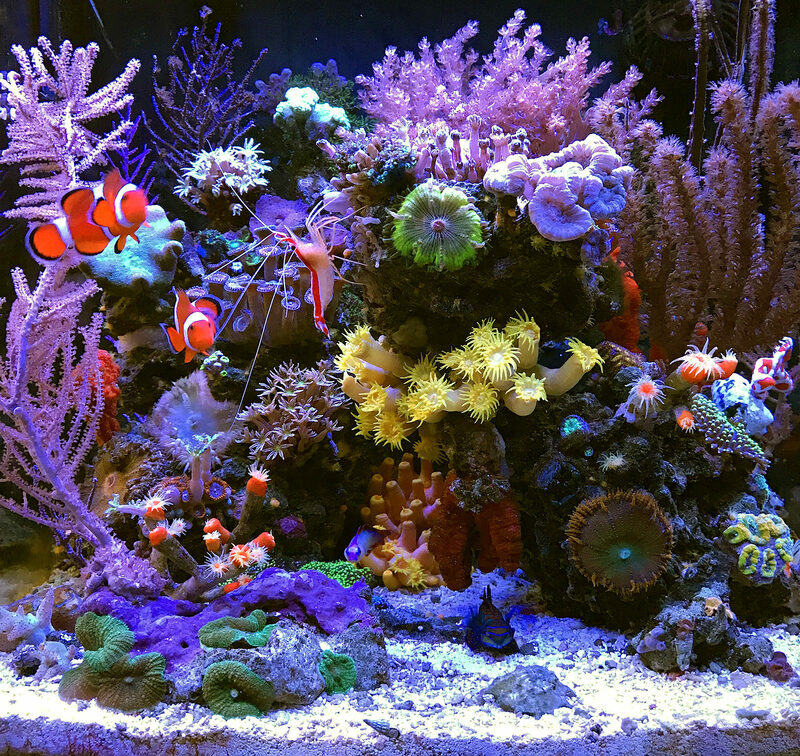 In the beginning I used Nutri-SeaWater to boost my beneficial bacteria (plus I also used BioSpira﻿), and I then transitioned to Imagitarium Pacific Ocean Water (from Petco) to reduce the cost while keeping things simple since I was still new to the hobby. I was happy with both products. 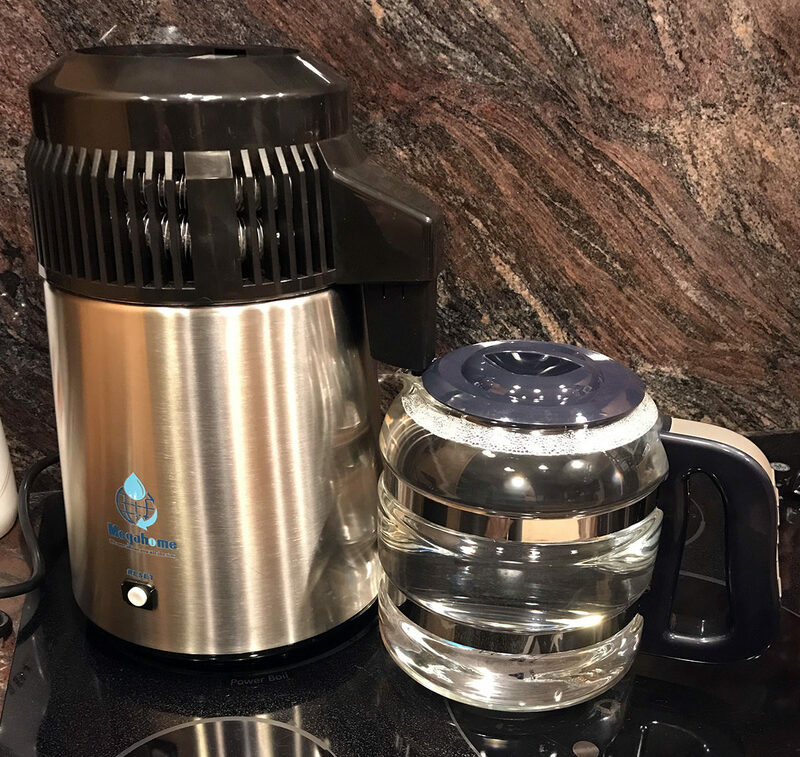 I tried to switc﻿h to making my own RODI water; I know this is a great option for the vast majority of reefers, but living in an area affected by severe drought, I was distressed by the amount of waste water produced and thought the process seemed cumbersome and the filter was unsightly, so I sold my filter to a local reefer shortly after getting it. Next I tried Red Sea Coral Pro mixed with store bought distilled, and that worked well for a while but my tanks didn’t seem to respond well to my second bucket of RSCP salt for some reason, so I ended up converting to using either premixed Reef Crystals from my LFS or mix﻿ing my own Reef Crystals with store bought distilled. In an effort to become less dependent on saltwater from my LFS, I wanted to convert to mixing my own water, but buying distilled water is no longer feasible with two tanks since I use 7-8 gallons per week, which leads to way too many plastic jugs to be recycled. I encourage you to find the best source of water for your own tank. You’ve probably heard this a hundred times already, so I’ll make it 101 haha. Be sure you reasearch thoroughly before adding new livestock to your tank. 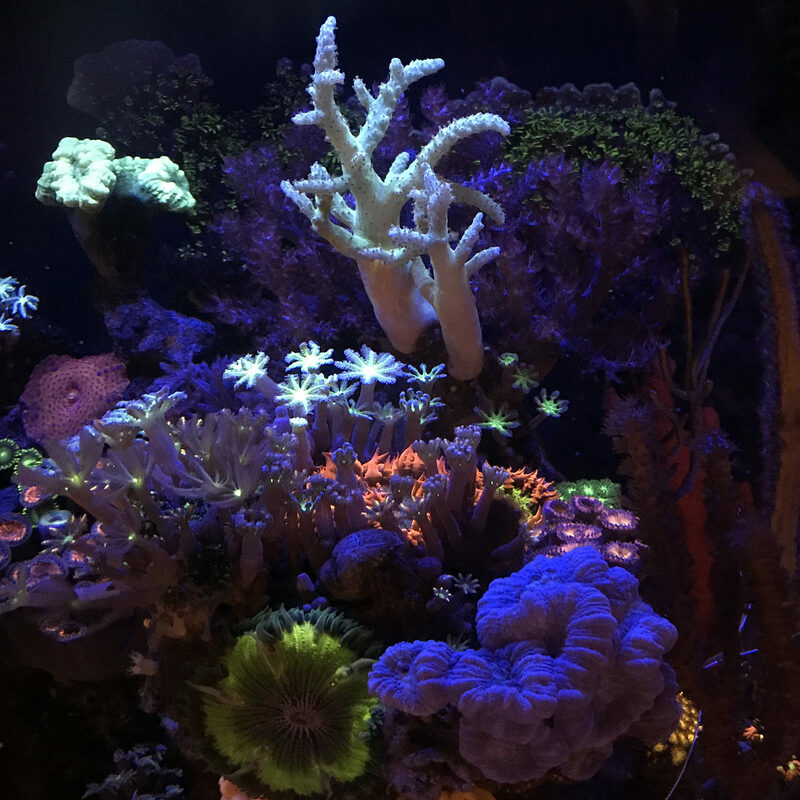 One pitfall in my experience is that LFS staff may only see the corals during the day, so they may not realize the long sweepers that a coral may produce at night. This happened to me with a war coral and a Hollywood stunner chalice... in both cases I thought I had seen information online about the aggressiveness of these corals, but the LFS staff told me both corals only have short tentacles for feeding, unaware of the sweepers that can extend at night. In a nano tank, where we have limited space, this can be an important consideration. 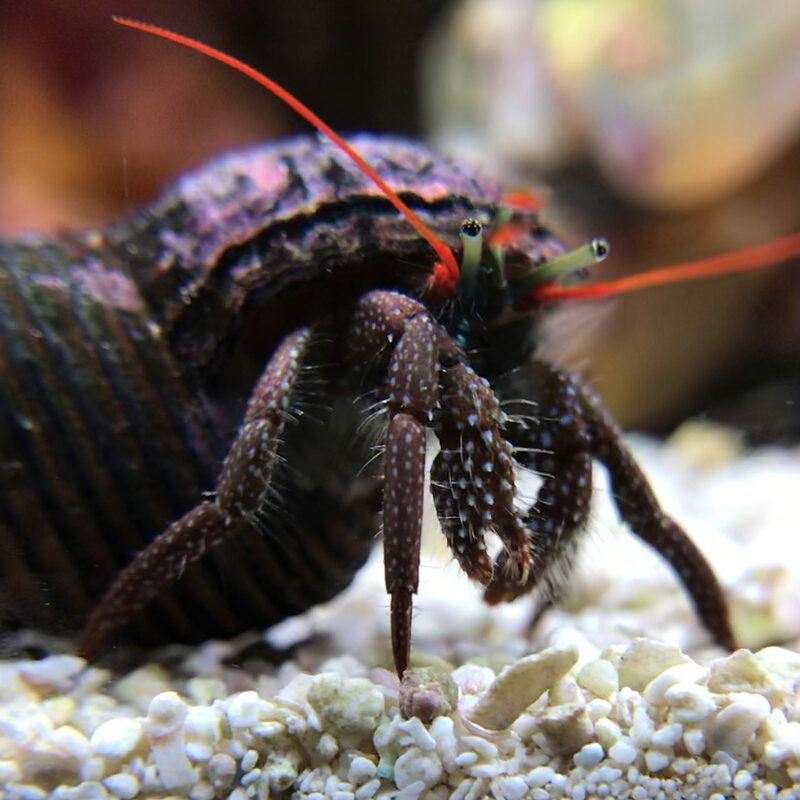 Also, be sure to read up on palytoxin as a risk in home aquaria so you are well informed and can take precautions if you choose to. I’m a nurse, so I am an advocate for making sure people are well informed about things that can affect their health. This is a good article that came out as I was setting up my tank. I held off on stocking zoanthids and palythoas for 6 months or so, until I had more experience in the hobby. Think about when you get sick – your doctor usually wants to see you before diagnosing and treating an illness. 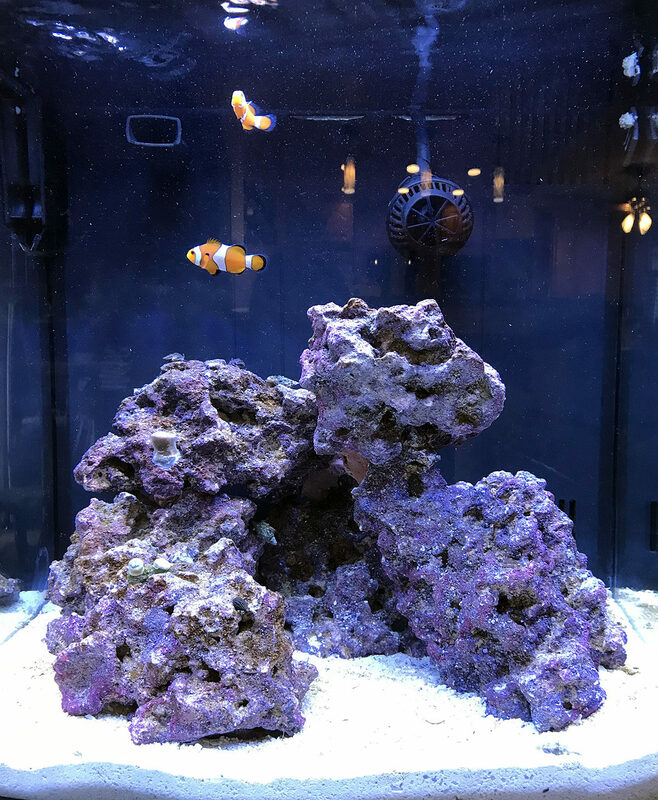 Similarly, if there’s an issue with your tank, a picture can be extremely helpful in enabling other reefers to correctly identify the problem and suggest how to fix it. 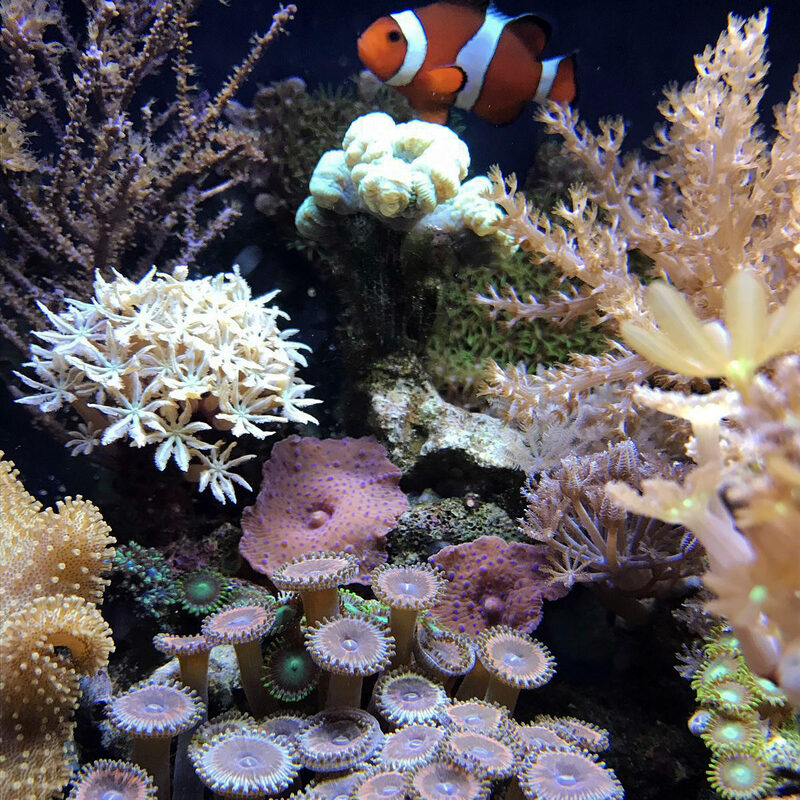 We spend so much time and money on our tanks, creating our own beautiful reefs. Be sure to invest in a good cleaning magnet and keep your glass clean so you can enjoy the beauty inside your tank. It’s good to keep it clean at all times, so you can quickly snap a picture or shoot a video if something interesting is happening. Milwaukee Digital Refractometer – Makes it quick and easy to check your salinity. Chill Solutions CSXC-1 Nano Chiller – Seems to work well for a Biocube with a lid since the enclosed system can severely restrict evaporative cooling of the tank. My sun corals spawn, so there are baby suns throughout my tank. Of all the invasive corals in my tank (Kenya tree, Xenia, GSP, clove polyps), the suns are by far the most invasive. Be aware that mandarins are not recommended for a small tank due to their voracious appetite for pods; they quickly decimate a pod population in a small tank. My mandarin is a captive-bred Biota Mandarin from Live Aquaria. Per Live Aquaria, these mandarins have a unique advantage over wild-harvested species in that they are hardier and more accustomed to conditions found in home aquariums. They are initially raised on frozen cyclops along with 360-520 micron dry food mix supplemented with live foods. 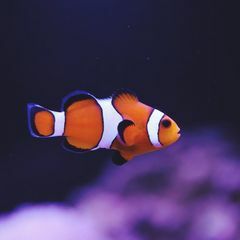 If you are considering one for your tank, be sure to thoroughly research, and be prepared to spend a great deal of time and money to raise it. Mine is my baby, the initial $90 cost was nothing compared to the money I’ve spent to properly care for him, and my whole tank was really built around creating a good home for him. One of the things I enjoy the most about my tank is photographing it. I always joke that it isn’t a new day if I don’t post a new picture. Looking back over my photos while preparing this write up, I could see how far I’ve come with my photography skills in the past year; most of the improvements were immediate once I read a few articles on reef tank photography and learned some specifics about taking pics with my iPhone and iPad. If you’re﻿ using a phone or tablet, a clip on lens makes a huge difference because it filters out the blues to make the image more true to life, and the sets with macro lenses are nice to add to magnification. I won’t go into a comparison here, but I’ll try to do one in the near future in my journal. They are all good, pick one! Get a tripod to reduce any movement as you take your pics. Turn off lights in the room to eliminate reflections on the glass. Turn off the flow to photograph corals. Focus on the eye to photograph fish (or inverts with eyes). Press the camera lens against the glass if you can. Hold the camera at a right angle to the subject to minimize distortion. Practice, practice, practice! Most people love looking at pics, so post them in your tank journal here and/or in Instagram (I do both)! If you are using an iPhone or iPad for your pics, look up how to take action shots; more specifically, learn how to use live photos and photo bursts. After you take the pic, you go into edit mode and choose the best frame. I don’t have much experience with different types of lighting, but I’m so glad I stuck it out with the BioCube stock LED lighting as it has worked well for my tank. I know there are mixed opinions about skimmers in a nano tank. A skimmer is essential for me since I run a high nutrient system, and one is n﻿eeded when using NOPOX and Phosphate RX to control nitrates and phosphates. I prefer the more natural look of a sand bed, but it’s always interesting to see bare bottom tanks, or tanks with corals encrusting the bottom. I feed my tank extremely heavily and therefore need to take measures to keep my nitrates and phosphates under control. 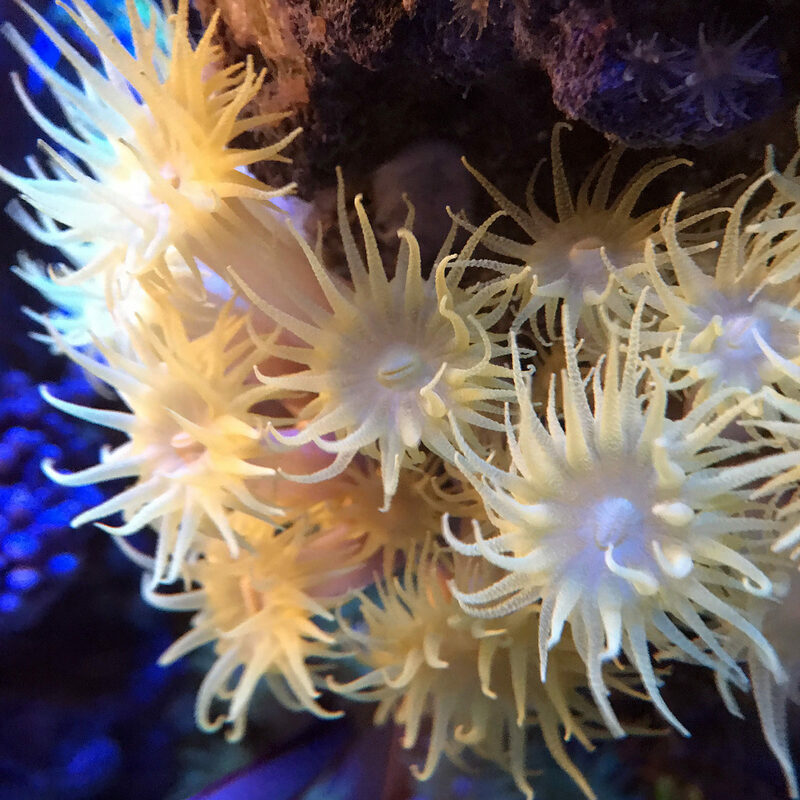 My corals seem to open up more and grow faster when I dose two part and long acting iodide. I was surprised and honored to learn that my tank was chosen to be featured at its one year anniversary. My tank, the hobby, and especially the community I’ve found here in this forum have enriched my life so much in the past year... I will be forever changed, and grateful. I would like to thank﻿﻿ everyone that nominated my tank, I really appreciate the kind words and support. And I would also like to thank all of the mentors here in our forum that have been﻿﻿﻿﻿﻿﻿﻿﻿﻿﻿ a great help to me personally, and have assisted countless others in the community. I also want to send hugs, winks, and a friendly smack to the Lawn's Lounge group for your support and friendship – Friday nights, and life in general, wouldn’t be the same without you! 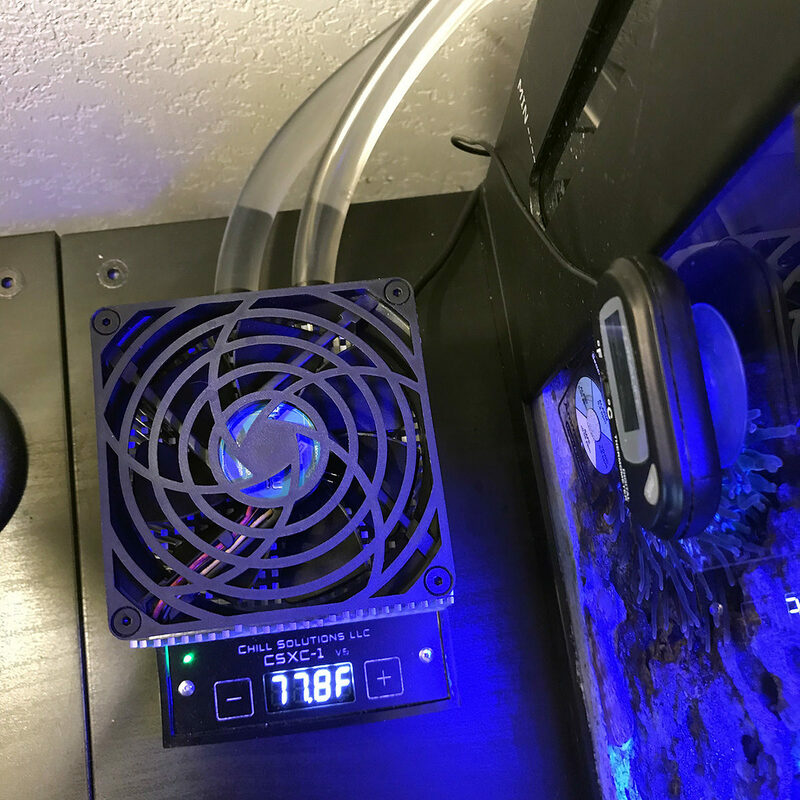 Finally, I want to extend a huge thank you to Christopher Marks for featuring my tank and for giving all of us Nano-Reef.com... this community we have here is really something special. This cube is incredible! Absolutely amazing! Very well done! Hey Krish!! Thank you so much! Biocube pride... woot woot!!! 😜😁 Great to see you again. Don’t be a stranger! 🤗 Looking forward to updates on your Biocube!! Congrats! Great writeup and beautiful tank! Awesome! So well deserved, tank reflects your character for sure, beautiful effort and gracefully done!!! Your tank is gorgeous, well done! Congratulations! Your tank is awesome and I really enjoyed your write up. Being a newbie I took notes and now have more items to reasearch! Thank you. Ah, welcome to Nano-Reef, I see this was your first post. And thanks so much! 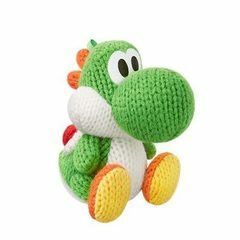 Hope it was helpful... being very new to the hobby myself, I tried to include things that I thought might be good for other people starting out.